In previous years I have introduced my students to social media via a classroom Twitter account, but did not expect to use the platform this year. However, in early April a prized member of my PLN, fellow Google Certified Teacher Linda Yollis, invited me and my class to participate in a Twitter Color Poem project. 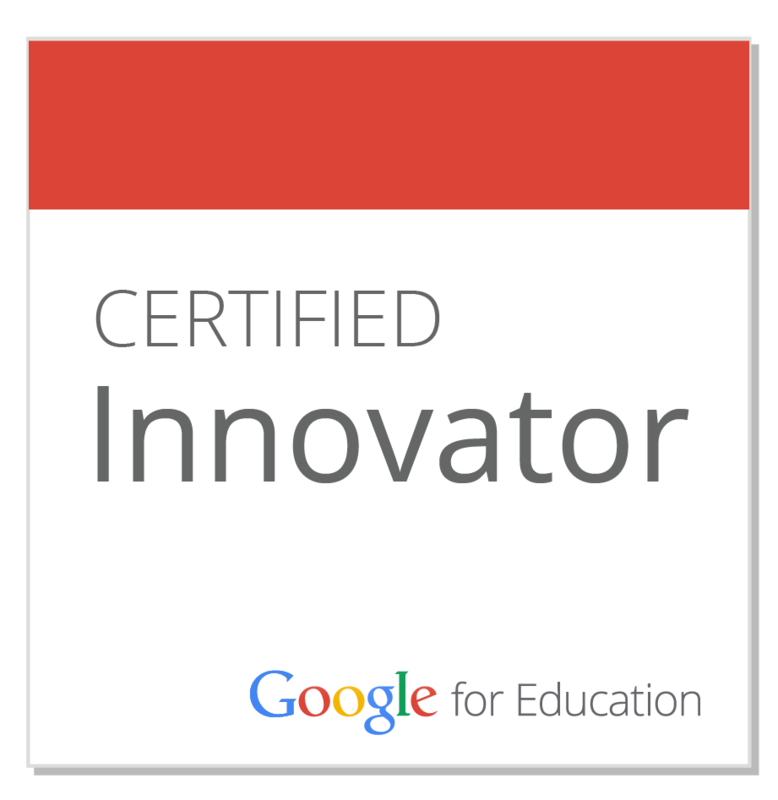 Linda and I have collaborated digitally before, and I was excited to connect our classes once again. 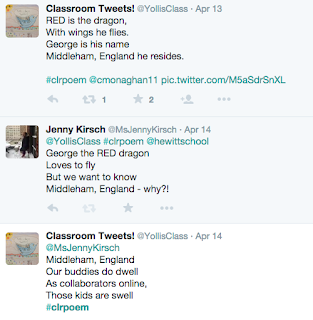 I decided to give it a go by introducing Twitter through the #clrpoem project. We would start with red and see if my students showed enough interest to make it through the rainbow. While interest in Twitter and the project varied from one student to the next, I did have one class section who immediately latched onto the idea. 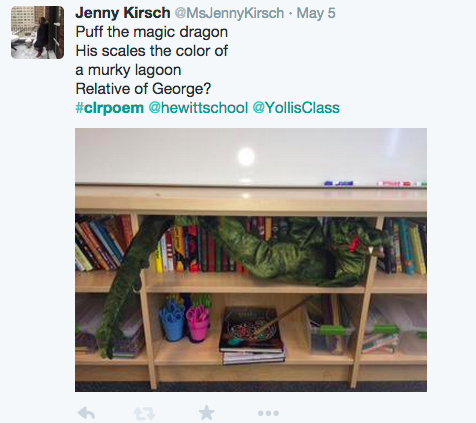 They were eager to participate, each week asking me if we could start class with Twitter poems. 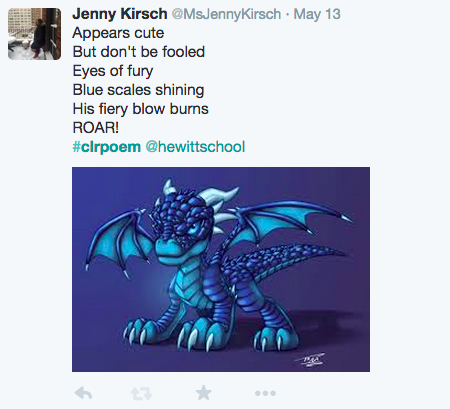 By the time we made it to blue and purple, these students were emailing me scads of potential images to use for our poems. 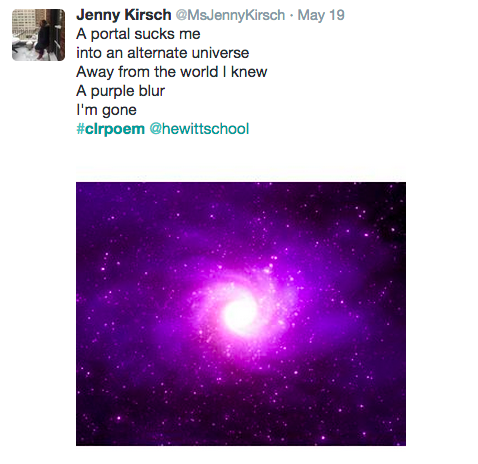 Though we completed purple last week, they want to continue with rainbow, black, white, and brown poems before we wrap up our school year. Given how much they're enjoying Twitter, and how they've started to learn work with hashtags and write well within the confines of a character limit, it seems that the project is not over for us just yet! In addition to being a great extension of our April/May poetry study, the Twitter #clrpoem project turned out to be a small but effective way to incorporate some digital citizenship lessons into my classroom, as my students learned about how to represent themselves online, how to use Twitter, and even had the chance to interact via the platform with Linda's class. Thank you, Linda, for the invitation and inspiration. 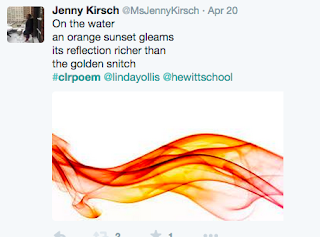 For a broader wrap-up of the Twitter #clrpoem project, visit Linda's blog! This week I used a new Writing to Learn practice with my students: Writing in the Zones. 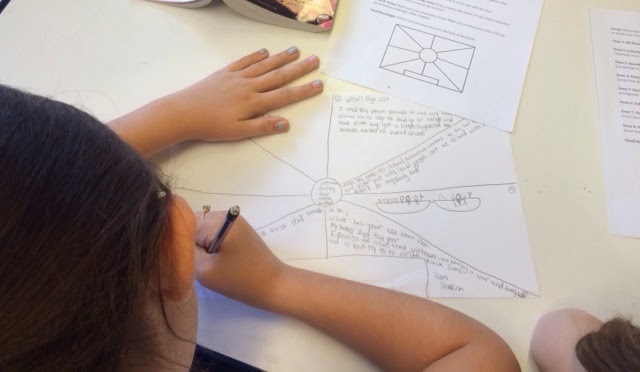 I first encountered the practice at Bard Institute for Writing and Thinking, and with a bit of guidance from Carley Moore I was able to adapt it into a 5th Grade friendly writing activity. In it's original form Writing in the Zones is already quite accessible to writers of all ages, as it involves dividing a large sheet of paper into several sections, each of which is filled with the response to a specific prompt about a single text. The practice is fast-paced, relies on writing and drawing, and involves peer feedback, which makes it an ideal activity for students. I used Writing in the Zones as a way for my students to reflect back on the novel we had just completed in class. However, it is a writing practice that can be used with texts of any length, so long as they are complex and meaty enough for students to sink their teeth into. As we're at the end of our school year and running out of time for larger assignments, Writing in the Zones was a perfect final 'project', but it can also serve as a pre-writing assignment that leads to essays, papers, or even poems. "It made me think about the book in a different way. 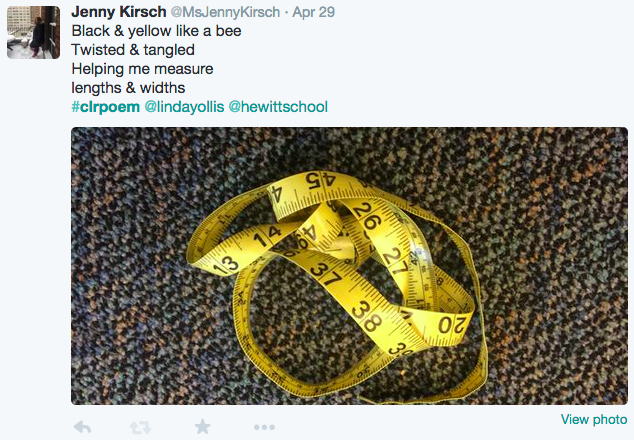 I paid closer attention to specific words or poems when I was writing about them." "It felt like we were taking notes on the book, like we were preparing for an essay." "I liked getting to express my feelings about the book and getting to read other points of view." "All of my annotations in the book made Writing in the Zones much easier. I liked being able to look back and find my notes to use for my writing." "This was like a bunch of different mini writing assignments all at once." "I liked that each zone was different. Some were harder than others." "This assignment was a chance to ask questions to the book, express my curiosity and explore how I felt about it."